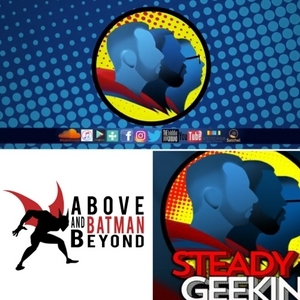 Podcasters Benjamin David (Above & Batman Beyond), Owen Connair & “Steady Geekin’” team up for brief and nerdy updates! Dirty Nerdy Podcast episode 9: Ninjas don't need an EASY MODE!!!! The prodigal nerds return as Hadowen and Tilted Cone discuss why Sekiro doesn't need a snowflake easy mode. We continue to sharpen our blades with For Honor and the upcoming Samurai Showdown revival. Plus a little Shazam to spice things up. Dirty Nerdy Podcast episode 8: Dirty Nerdy The Podcast: The Game; The Movie... wait what?! DIRTY NERDY PODCAST, I choose you! Today, Tilted Cone and I talk avout Pokemon Sword and Shield, MK11 updates, our current gaming exploits, and Sekiro Shadows die twice. Tilted Cone is back for use to tickle your ears with our nonsensical gaming outlooks. Today we cover MK11, my experience with street fighter V, and any other ramblings that shambles through our heads. So sit back, relax, and crack a Hado-can of your favorite drink and enjoy. Mag & Benjamin recap the hustle that is NY Comic Con 2018. Ben breaks down his insane interview/networking schedule for con, interrupted by the voice of his Batman: The Animated hero, KEVIN CONROY!! Mag recounts Jim Lee inspired Bat watches & a score of Harley & Joker Diamond Select Toys. Dirty Nerdy: Debut and DBS Broly movie update and speculation. Benjamin David (‘Above and Batman Beyond’ Podcast) updates us on the 2 big DC Films trailers out of San Diego Comic Con 2018: ‘Aquaman’ and ‘Shazam!’ Talking tonal shifts in the DCEU and fan responses to the trailers. Mag and Benjamin pay their respects to the one of the greats. A brilliant writer, world traveling tele-journalist, and brutally honest chef at times, Anthony Bourdain is not a man to be forgotten. Blake (“Steady Geekin’”) & Benjamin (“Above & Batman Beyond”) recap their LIVE pod interviews & highlights from the Earplug Podcast Network booth at Hudson Valley Comic Con 2018!! 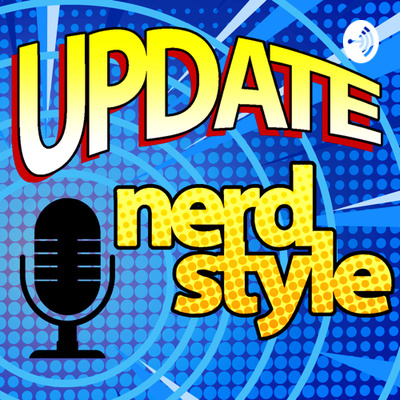 For our 1st ever update, co-host Benjamin David introduces our update pod format. Then, for a sample taste of the show, Benjamin updates us with filmmaking verbal highlights from his most recent of Troma journals (“Toxic Avenger”).